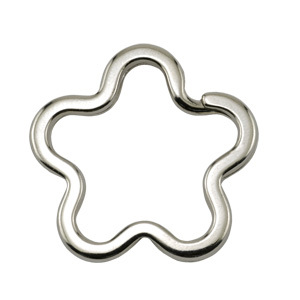 Designer key ring shapes make�interesting foundations for your designs. Size: 33mm(1.29inches), 3.7mm thick. Rhodium plated base metal. Nickel-free plating. Beadalon brand. 4 flower keyrings per packet.